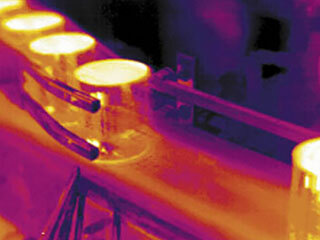 Many industries benefit from monitoring systems to ensure quality and consistency. Applications include frozen and cooked foods, bottling and canning processes, automotive manufacturing, paper and wood product manufacturing, and many more. 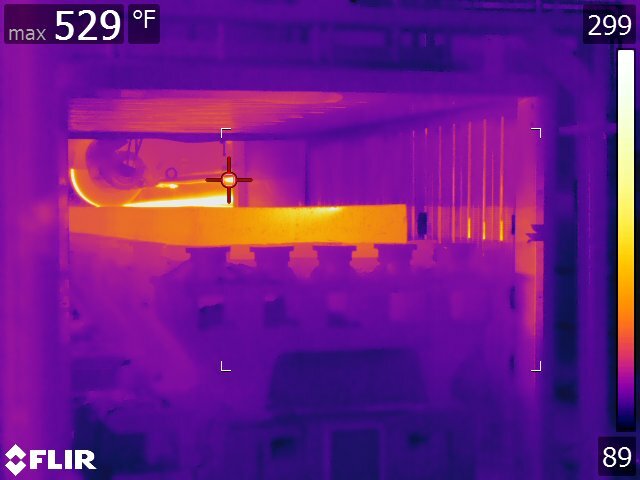 Processes that require temperature control can greatly benefit from the implementation of thermal imaging camera systems. 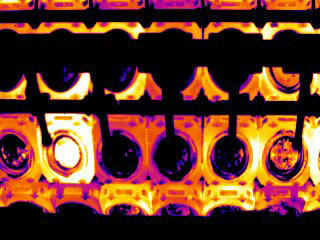 Viper's system solution helps increase quality and consistency while reducing the need for destructive product testing. 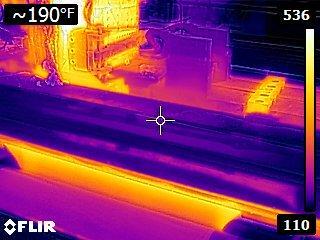 FLIR Thermal Imaging cameras are installed to verify temperatures and locations. 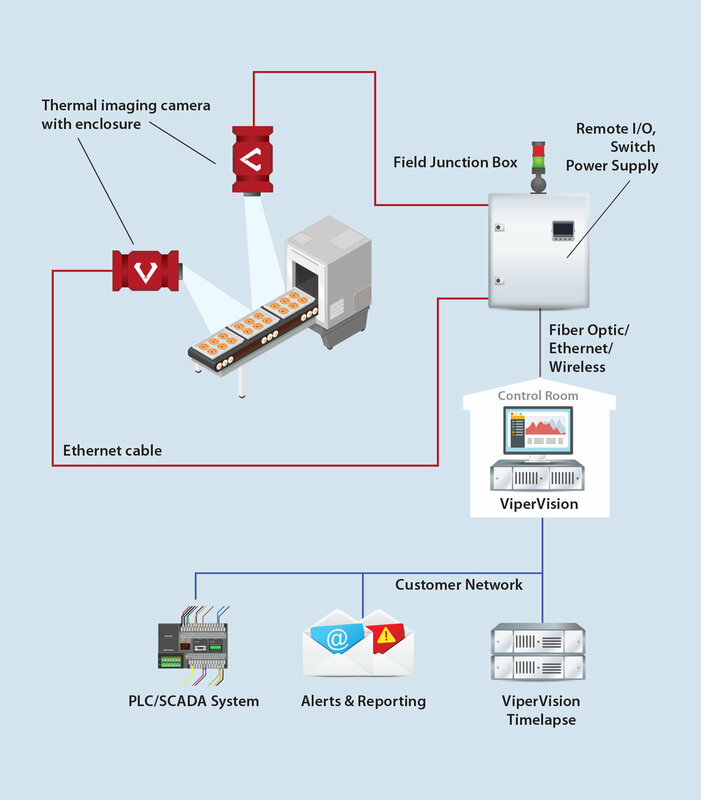 Viper's systems are customized to view as much of the process as necessary while using as few cameras as possible.